The Plastic Bottle Grinder is used for crushing plastic bottles of all varieties into small, manageable pieces. This high-pressure device uses advanced technology to ensure that hollow plastic bottles will be crushed and flattened sufficiently. 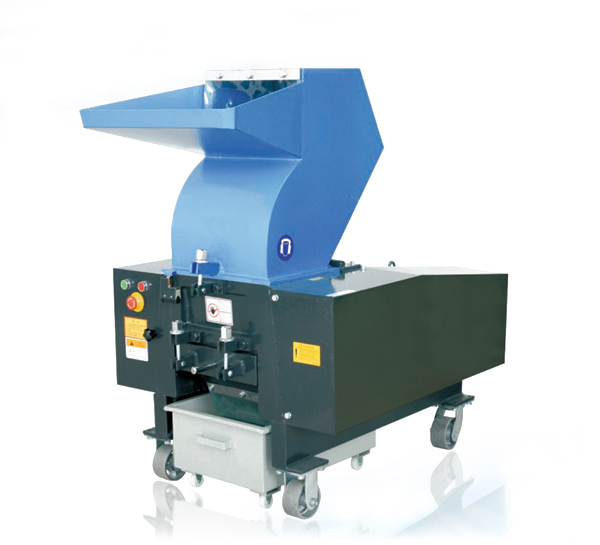 The Plastic Bottle Grinder ensures that plastic bottles will not jump or skip in order to maximize crushing efficiency. This machine uses an automatic conveying system, significantly reducing man power to further improve efficiency, making the Plastic Bottle Grinder a necessary device in the process of plastic bottle recycling. Available Material Plastic such as PET, PVC, PE, PP, etc. Not Available Material Plastic include glass fiber. Contact us today for your Plastic Bottle Grinder needs and one of our professional representatives will answer all of your questions.